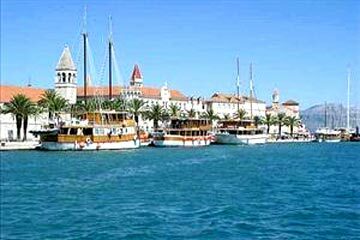 Boarding in Trogir between 11:30 am and 1:00 pm. Soon afterward we shall set sail for Bol on the island of Brac. 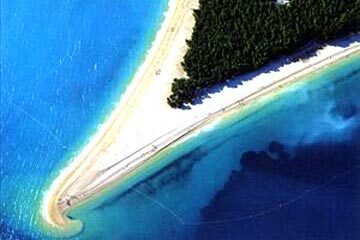 One of the most beautiful beaches on the Mediterranean is located here - "Zlatni rat", which is constantly changing its shape due to the sea currents. Naturally, you will have the opportunity to go swimming on this famous beach. Guests arriving later by plane will be transported to Bol. 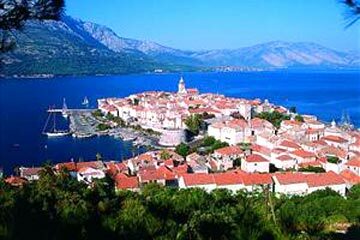 Today's destination is the Korcula, the main city of the island bearing the same name. Korcula has one of the most beautiful historical nucleuses in Dalmatia and is often called "Little Dubrovnik" due to its fortresses. 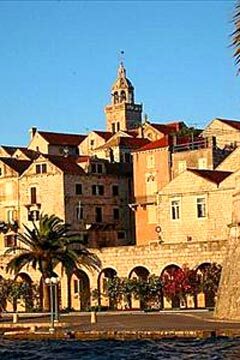 In ancient times, Korcula was also known as "Black Island" due to the pine forests that stretch across the island". We shall spend the night in the birth place of the famous seafarer Marco Polo. 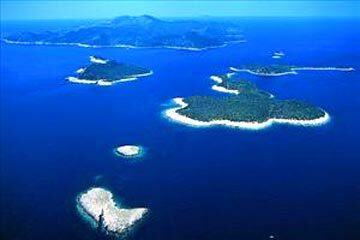 From Korcula, it is a three-hour ride to the island of Lastovo where in the former Yugoslav National Army (JNA) had its military base. As a result the island was closed off to visitors and tourists. 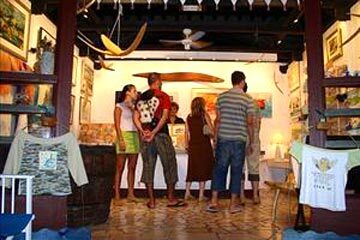 Thus the island retained its authenticity and is a true oasis of tranquility enriched with Mediterranean vegetation. 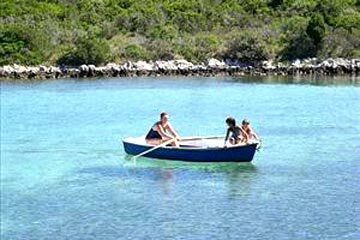 We shall stop in the cove of Saint Mihovil near the town of Lastovo where you will have plenty of time to familiarize yourself with the surroundings. 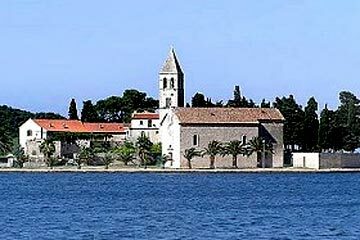 In the afternoon we shall return to the island of Korcula and to Vela Luka. The town lies in a deeply recessed and protected cove on the west side of the island. 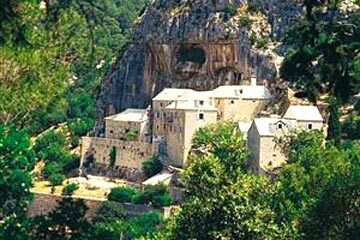 Vela Luka is not just a place mentioned in beautiful songs sung by a Dalmatian Klapa (klapa - a small, mostly male choir that sings "a cappella", without instrumental accompaniment) it is also the birth place of one of Croatia's most famous singers. In case of bad weather conditions, we shall spend the night in the port in Ubli on the island of Lastovo instead of Vela Luka. After a swimming break, we shall head towards the second forbidden island - Vis. At the end of the 1980s the island of Vis, like the island of Lastovo, was off limits to foreign tourists. For years vineyards have replaced what were once the landing strips of the military airforce base. We shall spend the night in the port in Komiza in a quiet town on the west coast. 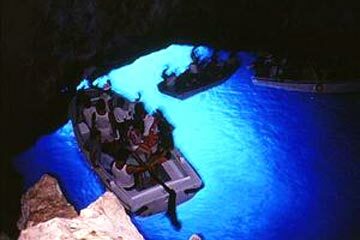 Before visiting Komiza, we shall visit Modra spilja (Blue Grotto) on the island of Bisevo. We shall visit the grotto on Tuesday or Wednesday depending on the weather conditions (if at all possible). 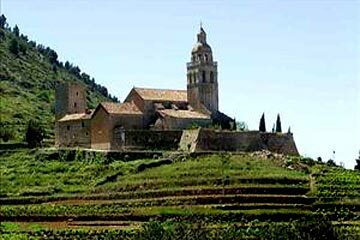 Only five miles south of Komiza is the island of Bisevo and the famous Modra spilja. Somewhere around noon, the sun's rays are reflected through an underwater entrance creating a fascinating blueness. This unique sight can only be seen on a sunny day when the sea is calm. One enters the cave with a small boat (approximately 5-7 people - not included in the price of the trip). 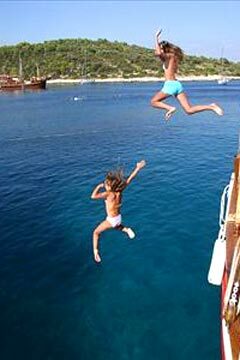 While sailing towards Vis, the main town of the island bearing the same name, we shall drop anchor in a cove on the northern part of the coast to go swimming. The town of Vis lies in a deep and protected cove. 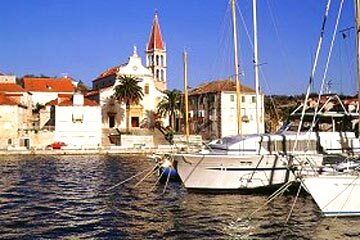 After the swimming break we shall head towards Stari Grad, the oldest settlement on the island of Hvar. Stari Grad (alte Stadt) was once known as Pharos, the capital city of the island, however centuries earlier its leading role belonged to the city of Hvar. Many sights are still witness to the splendor of those times such as Hektorovic palace. 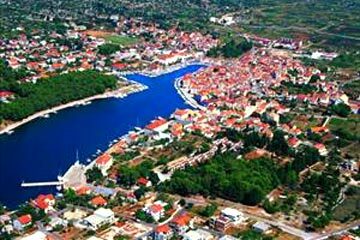 Stari Grad has the role of being the main city of the wine industry on this island. Every year at the end of September crowds gather in front of wine cellars when wine-makers hand over their grapes. After breakfast we shall raise anchor and head towards the last island of our trip, Solta. The island is known for its olive plantations which produce a first-rate, very dark olive oil. We shall drop anchor to go swimming in one of the coves that can only be reached by sailboat or rowboat. From Solta we shall head back to Trogir. There you can enjoy the unique atmosphere of the streets of the historical nucleus of the city. 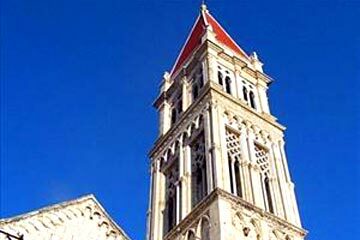 Trogir is known as the "city of museums" and with good reason. It is also protected by UNESCO. Disembarkment after breakfast at around 9:00 am.